Looking for an Avaya-compatible headset for office call handling? "We see Jabra as a very important partner. Our tight collaboration is extremely important, because it allows us to take the customer experience to the next level." Enjoy clear communication and ease of use with Jabra’s excellent range of Avaya-compatible phone headsets. At Jabra, we stock office headsets that work seamlessly with your chosen software – from PCs to smartphones – so you can take calls and communicate with your network without interruption. Jabra is an “Avaya DevConnect certified Technology Partner” - the highest level in the Avaya DevConnect program. Thanks to our unique partnerships, we can offer a fantastic range of wireless headsets that work perfectly with the Avaya software and platforms that your business uses. An easy-to-use video conferencing service, Avaya Scopia allows you to connect with colleagues and clients wherever you are, and communicate in HD. To ensure you can hear with absolute clarity, invest in the Jabra Speak 710. Portable, powerful and offering in-room coverage for up to 6 people, amazing sound is guaranteed. Discover the full range of Avaya Scopia compatible products available at Jabra today. Avaya Aura is the ultimate communications platform, offering voice calls, video conferencing services, B2B messaging, customer support applications and more in one unique package. Here at Jabra, we have an entire collection of compatible products designed to deliver the best possible Avaya Aura experience, including the Jabra Engage 75 Convertible and Jabra Evolve 80. For business people who are always on the go, Avaya Flare can help you to stay connected. Available on Windows-based computers and iPads, you can join audio and video conferences in just a few simple steps. To ensure you're always heard clearly, pair Avaya Flare with one of Jabra's compatible products. 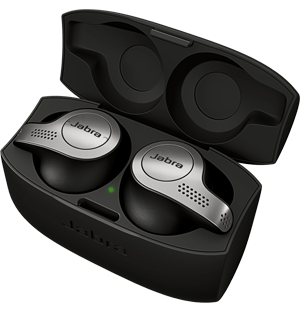 The Jabra Speak 710 for example, is the ideal companion - offering coverage for up to 6 people. If you use Nortel IP Phones in your workplace, but you'd like the freedom to go wire-free, then we have the solution here at Jabra. 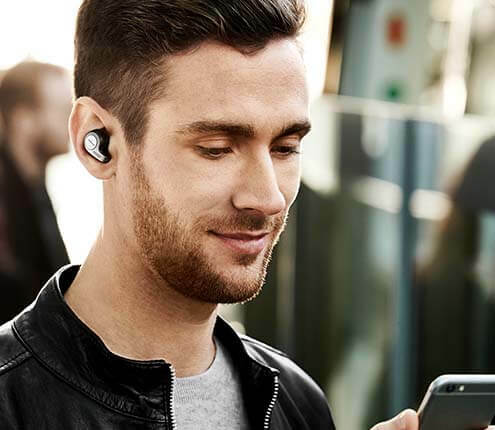 Our wireless headsets are fully compatible, and models like the Jabra Engage 75 Stereo offer noise-cancellation technology and enhanced speakers to ensure an incredible performance in even the busiest of offices.